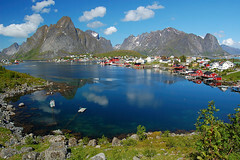 Norway is a land of snowy slopes, lush forests, towering mountains and sparkling fjords. This country is a haven for the active traveller and a perfect hostel destination if you’re a lover of the outdoors. Bike the Rallarvegen cycling route which is said to be one of the best in Norway and leads you to Flåm passing through rugged mountain scenery, crashing waterfalls, rolling valleys and fast-flowing rivers. For ski enthusiasts there are plenty of opportunities to ride the slopes but don’t miss the Holmenkollbakken ski jump, Norway’s most popular tourist attraction and one of the world’s most famous sporting arenas. 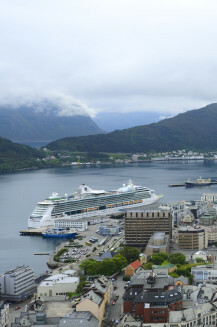 Nearby to the town of Ålesund, is the breathtaking Geirangerfjord. Surrounded by lush forest, majestic waterfalls and snow-dusted mountain peaks, this is the perfect spot to spend a day. Kayak in the fjord and hike the nearby mountains for a rewarding view over the incredible landscape. This breathtaking scenic point, chosen by Lonely Planet as one of the top ten most spectacular viewing points in the world, will mesmerise you! One of the best eco-adventures Lofoten Kajakk (Lofoten Aktiv) has to offer: on the bike out to the starting point of the hike. 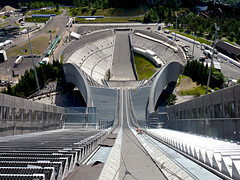 Holmenkollen boasts the title of the world's most modern ski jump. Holmenkollen Naional Ski Arena is the most visited tourist attraction in Norway, it includes the ski museum, jump tower, shops, cafe and a ski simulator. The deep blue UNESCO-protected Geirangerfjord is surrounded by majestic, snow-covered mountain peaks, wild waterfalls and lush, green vegetation. Visitors can hike, kayak, fish, raft and ski in the area - ideal if you love keeping active. Lillehammer is one of the oldest winter sport destinations in Norway and offers excellent opportunities for alpine and cross-country skiing. With long skiing traditions and two ski centres, Voss Resort and Voss Fjellandsby Myrkdalen, Voss has become one of the most established ski destinations in Norway – popular amongst families as well as skiing enthusiasts. It is not without reason that World Cup events are frequently held here.